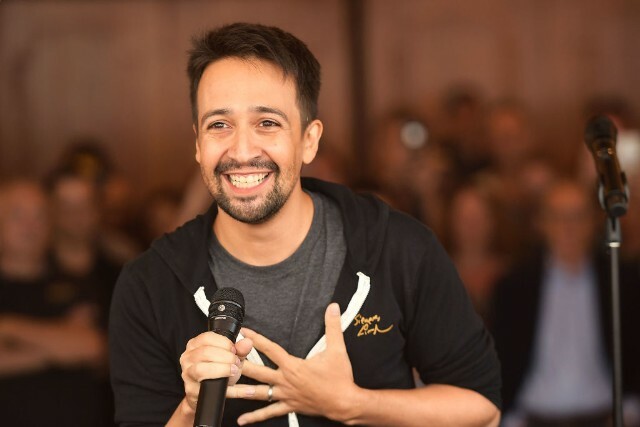 Lin-Manuel Miranda released a song featuring 22 other musicians in order to raise money for Puerto Rico for hurricane relief. The song was released on Oct. 6, with the title “Almost Like Praying.” All proceeds of the song will benefit the Hispanic Federation’s Unidos Disaster Relief Fund, which is an organization that Miranda has been supporting since Hurricane Maria hit the island. The song is a message of love and positivity to the people of Puerto Rico, who are still recovering from the effects of Hurricane Maria in September. “Almost Like Praying” features many large-name musicians such as Marc Anthony, Jennifer Lopez, Luis Fonsi, Fat Joe, Gloria Estefan, Gina Rodriguez, Rita Moreno and more. 85-year-old Puerto Rican-American actress, Rita Moreno, who won an Oscar for her character of Anita in “West Side Story,” is a unique feature in Miranda’s new track. The beginning lyrics of the song are “say it loud and there’s music playing/ say it soft and it’s almost like praying.” These lyrics originally come from the song “Maria” in the 1961 film “West Side Story,” which is sung by Richard Beymer. “West Side Story” is about a romance between a white gang member named Tony and a Puerto Rican woman named Maria. Miranda was motivated to use these lyrics as a way to recover the name “Maria” in wake of one of the worst natural disasters to ever hit the island of Puerto Rico. “I was very aware even as it was happening that this was the worst hurricane to hit Puerto Rico in a hundred years, and I knew that ‘Maria’ would forever have a different connotation on the island as a result of that. And that’s my favorite song from “West Side Story.” So I began thinking about that song and the lyrics and a way to flip it into something positive,” Miranda said in a recent interview with NPR. Miranda’s love for the island is fitting that the tribute derives from one of the most famous love stories of all time. Featured image: Received from and all right to here.